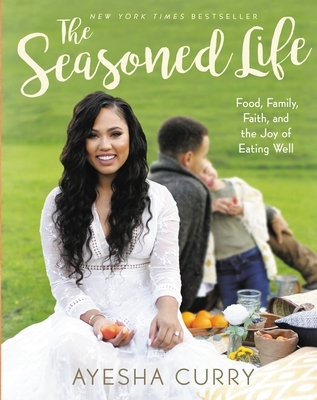 In The Seasoned Life Ayesha Curry shares 100 of her favorite recipes and invites readers into the home she has made with her two daughters and her husband Stephen Curry. Ayesha knows firsthand what it is like to be a busy mom and wife, and she knows that for her family, time in the kitchen and around the table is where that balance begins. Ayesha Curry has been featured in Food & Wine, Time, InStyle, Cooking Light, the Wall Street Journal, People, and USA Today and is a frequent guest on The Rachael Ray Show. Curry has appeared on several popular Food Network programs and hosts her own show on the Food Network. Mom to two daughters, Riley and Ryan, and wife to Stephen Curry, she lives in the Bay Area. One of Essence's "Fantastic Gifts for the Foodie Friends in Your Life"
"The social media lightning rod and burgeoning businesswoman shares her tips for feeing your stomach and your soul in her new book."